Happy Saturday! I hope you’re all having a wonderful day. It is a beautiful day here in Cleveland. The weather is perfect for late summer/early fall and it’s a busy time in our town. Now on to business. I wrote this post on Friday and was oh so excited because I just knew I would have my first official post created on my IPad – NOT! It was such a disaster, but I’ll tell you more about that in a few. First let’s talk about the Facts! As you read these, remember they were written on the IPad first! 1. 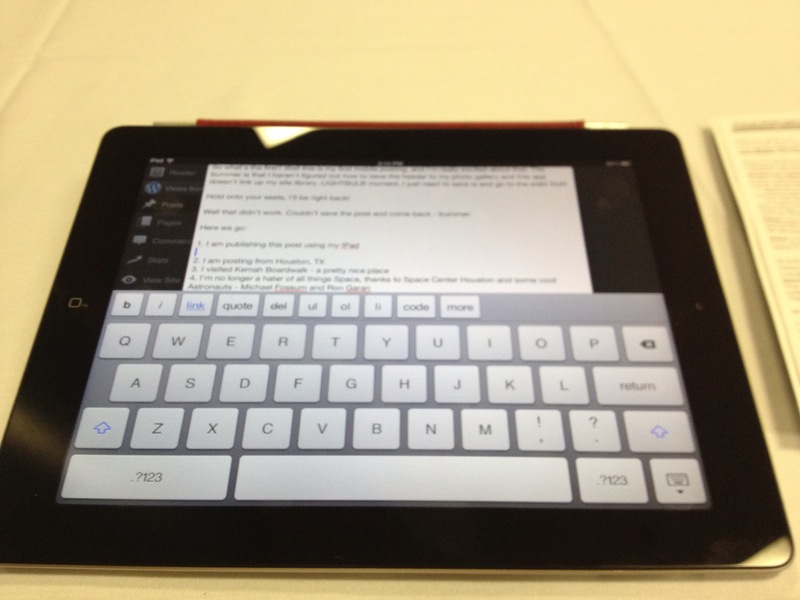 I am publishing this post using my IPad, yippee! A shot of this post on the IPad…well that is the original post. 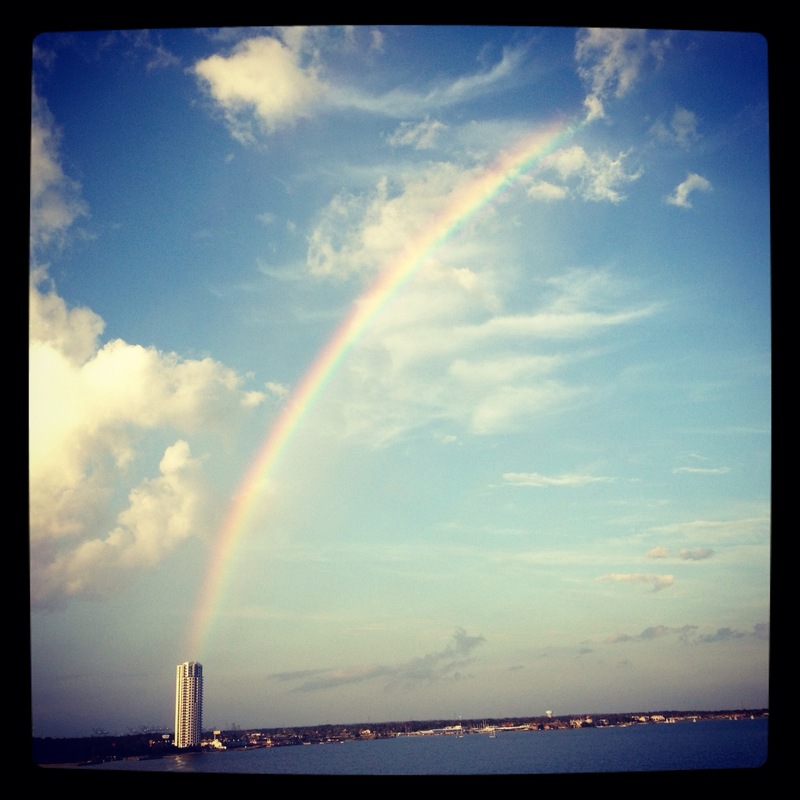 This was the view I was greeted with as I entered my hotel room in Clear Lake, TX – Beautiful isn’t it. 4. I’m no longer a hater of all things Space thanks to Space Center Houston and a couple of cool Astronauts – Michael Fossum and Ron Garan. 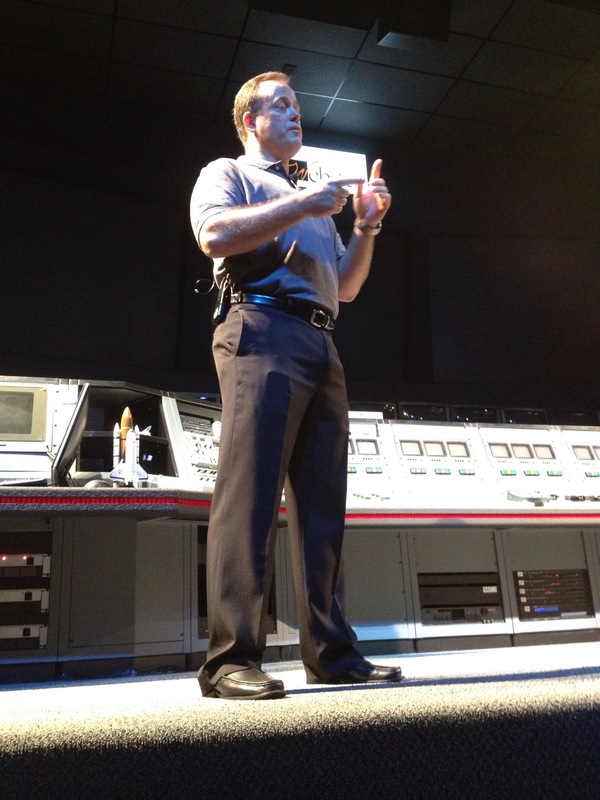 Astronaut Ron Garan presents during the Ragan Communication Conference “Social Media for Government Communicators” at Space Center Houston. 5. 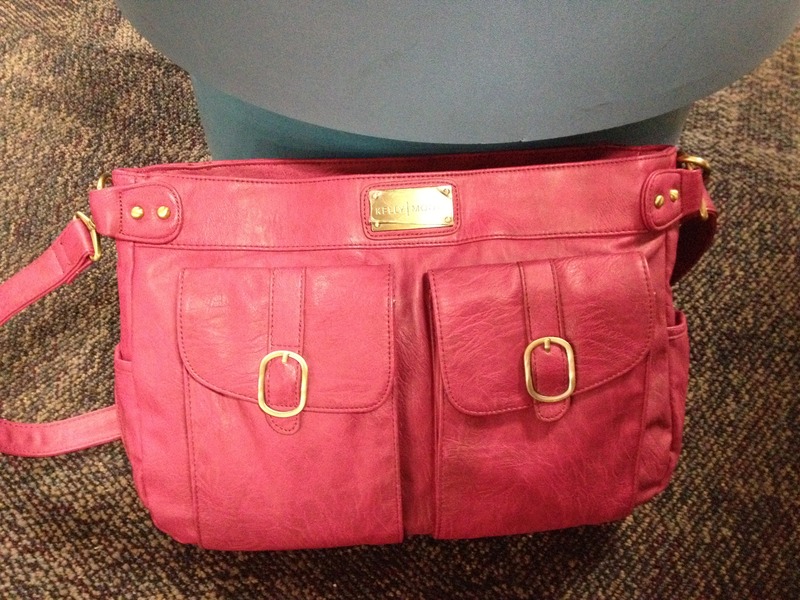 I’m really loving my Kelly Moore Bag, what a lifesaver it was for this trip. My wonderful new Kelly Moore Camera Bag, which holds so much more. What a lifesaver…I love it. So back to the challenges with bringing you this post. I have downloaded the WordPress App and found that it is not very user friendly. As I wrote the post I was unable to add the photos and place them exactly where I wanted them. Then there was the problem with adding the header. Each time I added it, I was then unable to add text, oh and before that I couldn’t access the header and even attempting to download it again to my IPad didn’t work. I vowed I wouldn’t let the device win, but I am sad to say I was defeated for now. I really want to make sure I’m posting regularly and I was so excited about posting from the IPad but when it didn’t work I needed to share the challenges. If any of you have experienced similar issues and have suggestions, I’d love to hear them.